Yellow Rug 140x200 cm. (4'6 x 6'6) Kids room decor, office decor, teen room decor rug, area rug, teppich, Washable. Announcement Please feel free to place your order but please note that we are currently closed for the holidays until the August 24th, 2018. Any order placed will be processed once we reopen. "I love One -Of- A- Kind Rugs to wake up a room and make a statement". 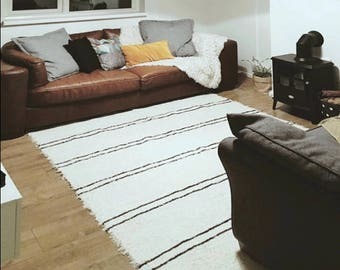 Need to transform a room! A new rug will do the trick. But rather than getting something possibly 10,000 other people already have themselves, why not get an upcycled rug instead? They are not easy to find, but leave it to Spinning Shreds to solve that problem. 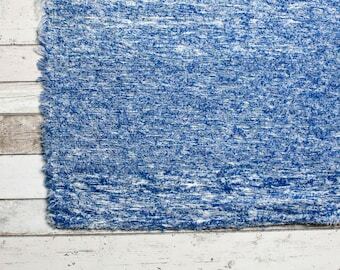 Designed for chic homes with cheeky monkeys and loyal pets in mind, Our Washable Cotton Rugs are One -Of -A Kind due to the upcycled process. The upholstery selvedge from the textile manufactures in Europe are saved, reworked and treasured making these unique pieces. 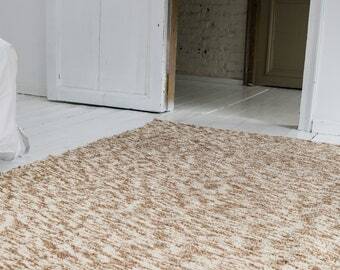 From boho accents and neutral colour rugs to hallway runners, Spinning shreds has endless colours to choose from. Please feel free to place your order but please note that we are currently closed for the holidays until the August 24th, 2018. Any order placed will be processed once we reopen. 120x160 cm. (4' x 5'3) Brown Rug. 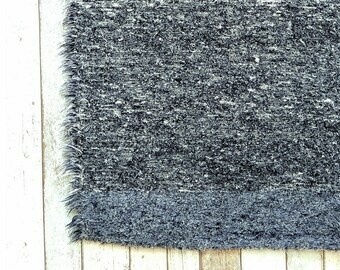 Area rug, Living room rugs, bedroom rug, Flat weave rugs, Handwoven Cotton | Eco-Friendly | Washable. 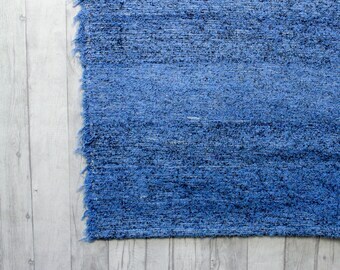 Blue rug 60x120 cm (2' x 4' ft) Blue Rug , Bedside Area rug, Kid rugs, Doormat, Handwoven Cotton | Eco-Friendly | Washable. Beige Rug. 90x150 cm. 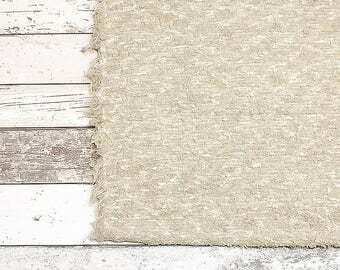 (3' x 5') Area rug, Nursery area rug, Flat weave rug, Handwoven Cotton | Eco-Friendly | Washable. I am very happy with this item, good looking and great quality! 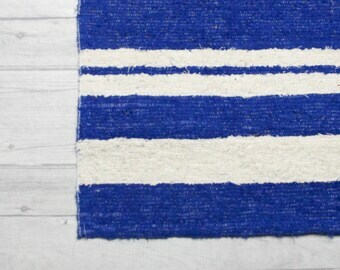 Perfect seller and perfect rug!! 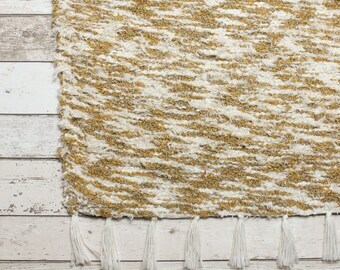 Perfect seller and perfect rug! 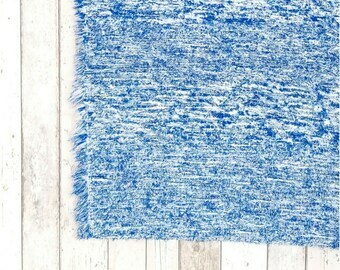 Blank and White Rug 65x230 cm. 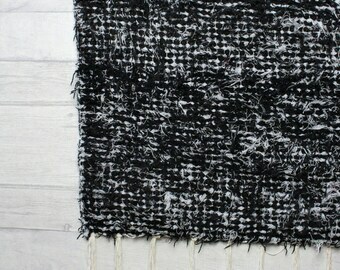 (2'2'x 7'6) Runner Rug, Hall runner, Rug Runner, Black rug, runners, Handwoven Cotton |Washable. Made from discarded Selvedge Textile. I’m all about up-cycled fabric that creates unique products, reducing materials to be sent to the incinerators, creativity and colour. Spinning Shreds represents an ancient textile art in which fabric shreds were saved, reworked and treasured. The shred strips of cloth are drawn out to form the raw material. After the up-cycled process, the strips are woven to create these beautiful pieces. It represents my passionate commitment to artisan work and the practice of taking something that is disposable and transforming it into a product with a unique character of a greater value. “I just love the idea of my up-cycled products travelling from traditional workshops to new homes around the world”. Hello, I’m glad you’re here! 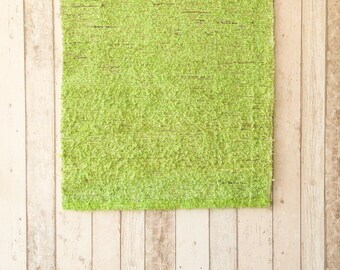 I’m all about beautiful and unique Eco-friendly rugs. 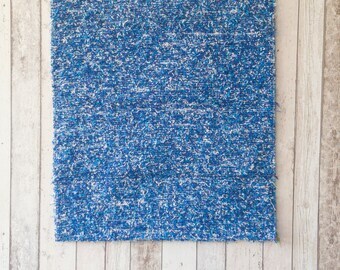 All the rugs are made from the clippings left over by the textile industry. I'm all about up-cycled fabric that creates beautiful rugs, reducing materials to be sent to the incinerators, creativity and making long lasting friends. 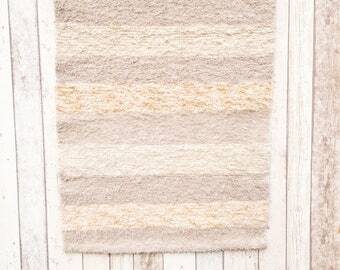 “I just love the idea of my rugs travelling from traditional workshops to new homes with you”. If you are unhappy with your purchase for any reason, please contact us within 3 days after receiving the goods and we will find a way to set things right whether through an exchange or refund, minus original shipping cost. Cancellation will not be accepted if item has been dispatched. Please read refund policy. We ship mostly with UPS Express We will provide you with the tracking number and necessary information. Please provide us with your phone number to ensure a smooth delivery. All our orders will be sent to a Access Point from January 2016. If you request to have it sent to a residential address, please let me know. Delivery fees will vary. We aim to dispatch within two working days via UPS express, meaning that you receive your new purchase the following day. We aim to dispatch within two working days via UPS express, meaning that you receive your new purchase the following day Monday to Friday before 3 pm. Friday - Sunday orders will take 2 to 3 days . Any import duties, sales taxes or other import costs, incurred at the point of entry into the destination country are the responsibility of the customer. We aim to dispatch within two working days via recorded courier, orders will take a week to arrive approx . Any import duties, sales taxes or other import costs, incurred at the point of entry into the destination country are the responsibility of the customer. Due to the nature of the manufacturing process, each hand-woven rug is a “one-off”, resulting in a boutique unique product. 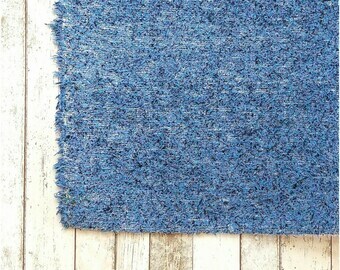 Same rug may be similar in colour and shape, but there will always be differences from one product to another. We also do wholesale & consignment. Please send us a mail for more info.